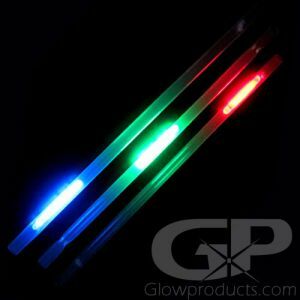 Glowproducts.com carries a wide selection of glow sticks and light products that are perfect to add that extra excitement to your New Years Glow Party! 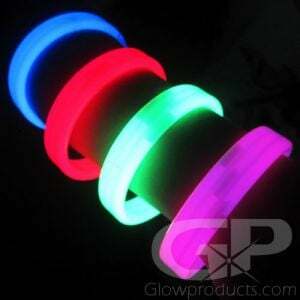 Wave our glow sticks around at midnight and brighten the party with lighted jewelry products. 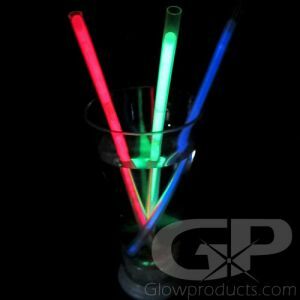 Use our lighted ice cubes and glowing straws to liven up your New Year drinks. It's time to usher in a brand new year again! 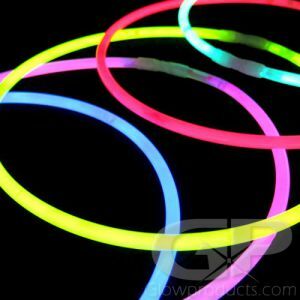 And you're hosting the glow party! 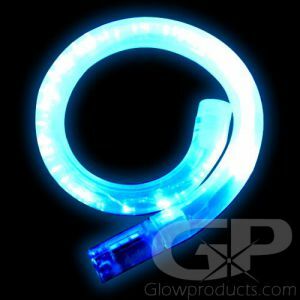 The first place you need to go is GlowProducts.com of course! 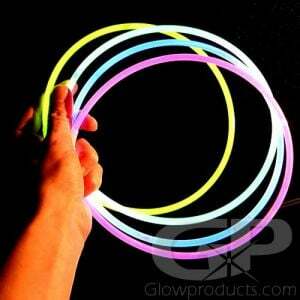 Every New Years Glow Party needs Glow Sticks and Glowing Light Party Wands! 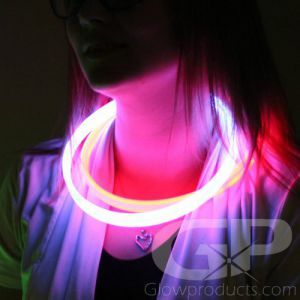 Be sure to check out our full catalog of Glow Stick Bracelets and our full range of Glow Necklaces for all the wearable glow stick jewlery you need for the New Years glow party event! 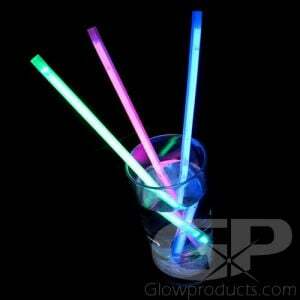 Also be sure to check out the fun Fiber Optic Party Wands with Light Projection or the Colorful LED Glowing Party Wands! 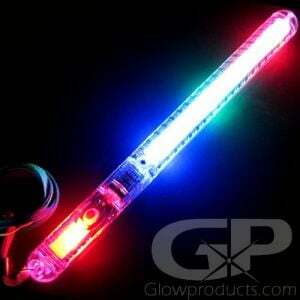 Another popular party wand for New Years is the Foam LED Party Wand Light Sticks. It's almost New Year's Eve and the party's at your place. And you have barely recovered from Christmas! 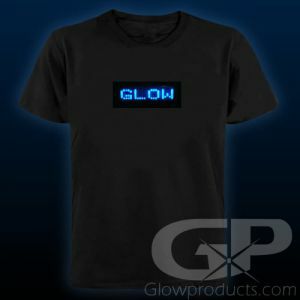 No problem, you have Glowproducts.com on your side! 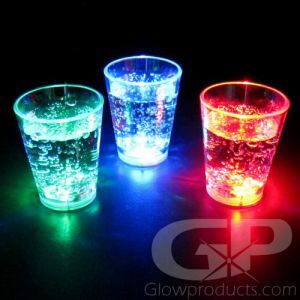 With our complete collection of light up drinking glasses, from Light Up Beer Mugs to Light Up Rock Glasses, the LED Glowing Drink Cup Tumblers to light up stemware, from LED Margarita Glasses to Glow in the Dark LED Wine Glasses, the Light Up Martini Glasses and LED glow champagne flutes, your epic New Year's Eve Glow Party is just a click away. Everybody's favorite way to bring in the New Year is with a Champagne toast. 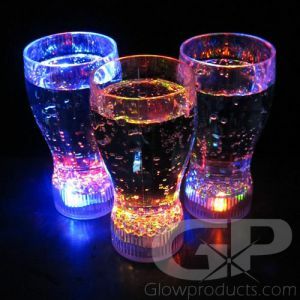 And here at Glowproducts.com, we know how to make this New Year's your most memorable one yet – with Light Up Champagne Glasses! 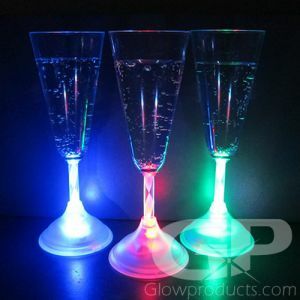 So bring on the bubbly and bring on the glow in the dark Champagne flutes, you know it's going to be a party! 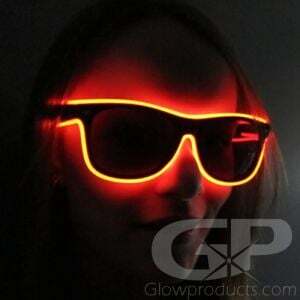 And if martinis are more your style, don't worry, we've got everything you need for a Glowing Martini party too. 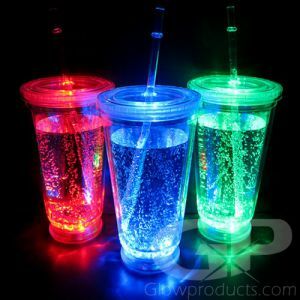 And with glow in the dark ice cubes, straws, stir sticks and coasters you can light up your regular everyday drinking glasses and turn them into a part of the New Year's party decorations as well. 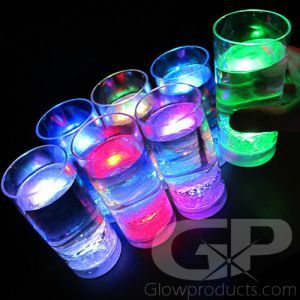 That's the great thing about glow in the dark cups and barware from Glowproducts.com – you just turn everything on, serve everybody their drinks and your party decorating is done! 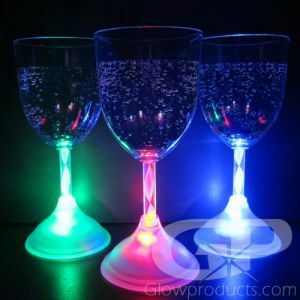 And remember, if New Years Eve has snuck up on you and you have left ordering really, really late, we can still ship your glowing champagne glasses to you in one business day with UPS Express. 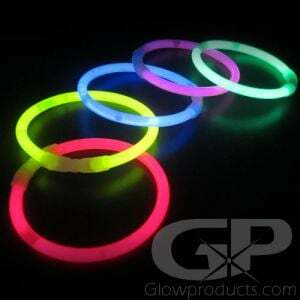 So give us a call at 1-877-233-GLOW(4569) and we'll help you with your New Year's Eve glow party supplies today! 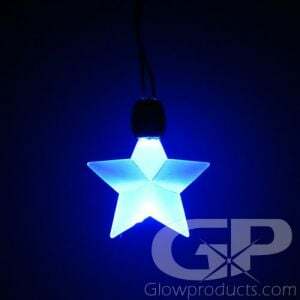 This year make things easy on yourself and use light up New Year's Eve decorations from Glowproducts.com! 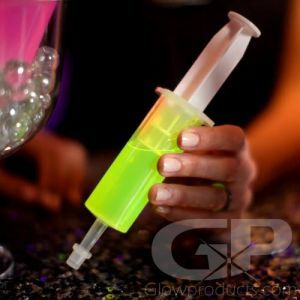 Your glow in the dark table top centerpieces will shine – literally! And all you have to do is push a button! 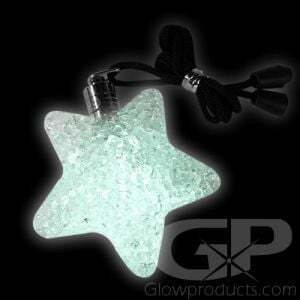 With Light Up Crystal Base Fiber Optic Lamps your party decor will be taken to a whole new level and add a few of the LED Star Lamps and your decorating work is done! 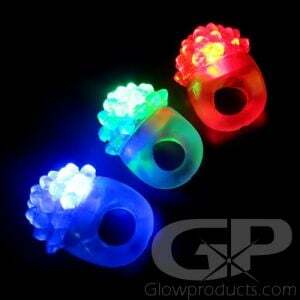 Need to light up some vases or ice buckets? 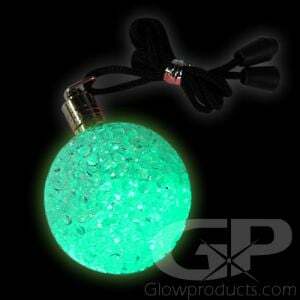 Then check out the Submersible Decor Lights with Remote or the Large Decor Light with Remote. 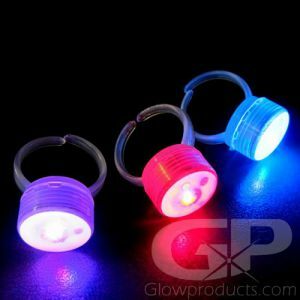 These bright battery operated portable disc lights have 13 different color settings, including a color changing mode! 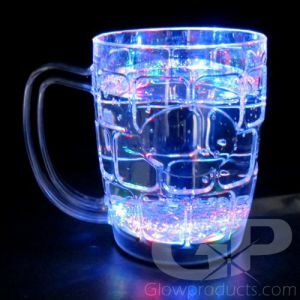 With these lights you can even create a glowing New Year's Eve bar, lighting up your bottles and glassware. 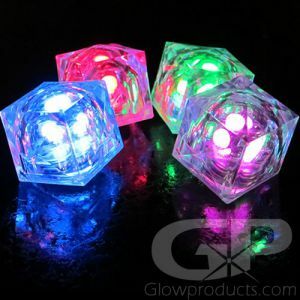 You can also use the submersible decor light and the Large Decor Light with Remote as as cool party lighting – it is amazing how you can transform a room just by using different colors of light! 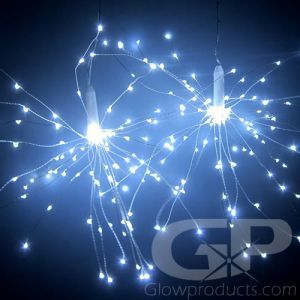 Looking to light up some balloons for your New Year's Eve event? 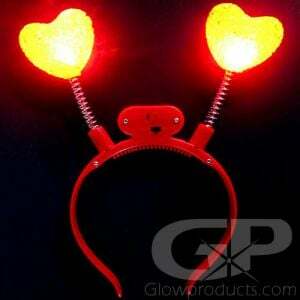 Then check out our Mini Clip and Balloon LED Lights. 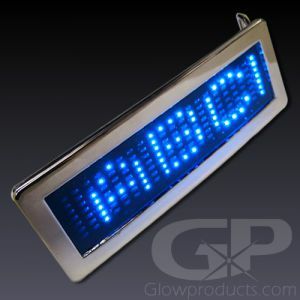 Available in all your favorite colors you can choose from Flashing or Steady Lights. 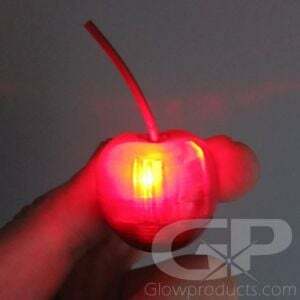 All you have to do is turn the mini LED light on, and put it inside the balloon before you blow it up! 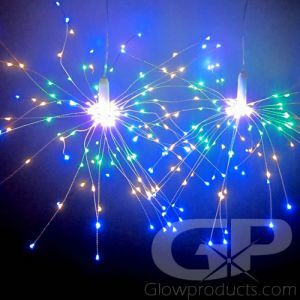 And with Glow in the Dark Fairy String Lights and luminous EL wire kits, you can create your own glowing New Year's signs and centerpieces. 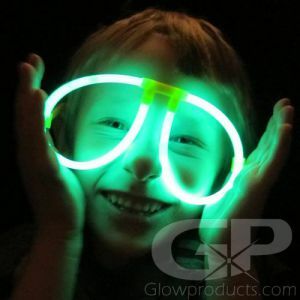 So if you need to create an amazing New Year's event there's no better place to be than Glowproducts.com! Have any questions about any of our products? 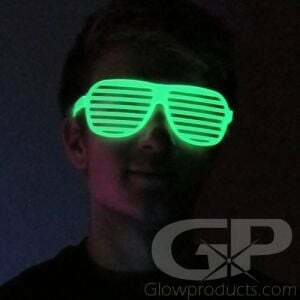 Please give us a call, toll-free, at 1-877-233-GLOW(4569) and we'll help you with your next party project today! 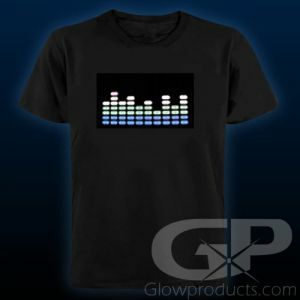 Put those lame, dusty New Year's Party Hats away – it's time to get real with light up wearables by Glowproducts.com! 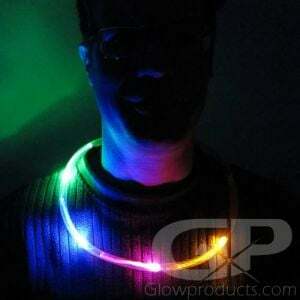 Check out your flashing bling with Color Chasing LED glow necklaces! 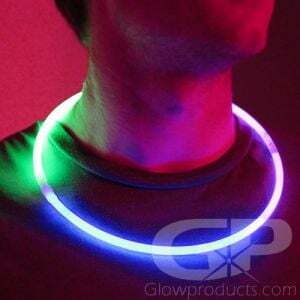 And show everyone that you're bringing in the New Year right with cool light up pendants. 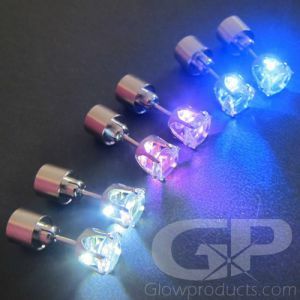 With light up LED Star Glow Pendants, the LED Crystal Necklace Pendants, the Cross Shape Glow Necklace Pendants and Heart Shaped LED Necklace Pendants to choose from, everyone will have the perfect pendant to party with. 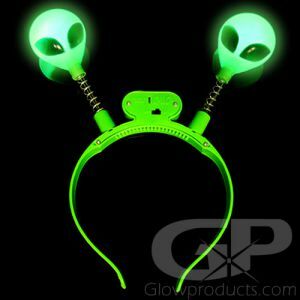 And you're going to need something to replace that lame pointy hat. 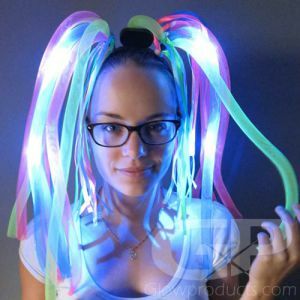 It's time for either some Light Up Shark Fin Head Boppers, some Light Up Glow Party Hairband Dreads and Flashing Star, Heart and Ball shape boppers! 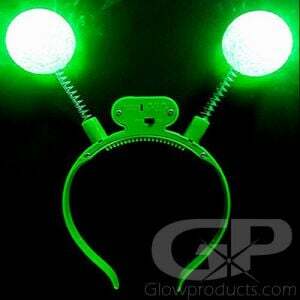 These are definitely the way to go this New Year's. And don't stop there! 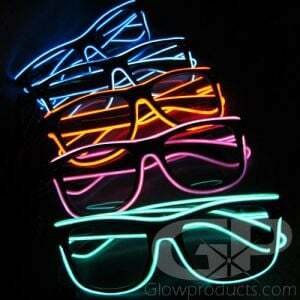 Continue to let your freak flag fly with Flashing Bubble Rings, Light Up Sunglasses and LED Eyeglasses. 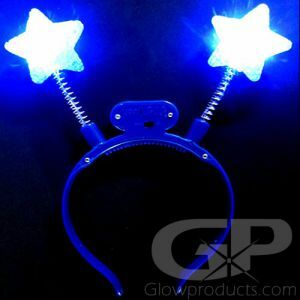 Or keep it classy with Light Up Crystal Earrings, Fiber Optic Hair Extensions and LED Bangle Bracelets – it's up to you! 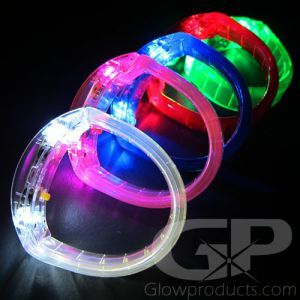 With an assortment of wild, cool, glow gear from Glowproducts.com your New Year's Eve party is going to be one everybody remembers. 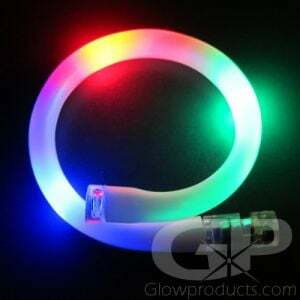 Make sure your New Year's Eve party lighting is safe! 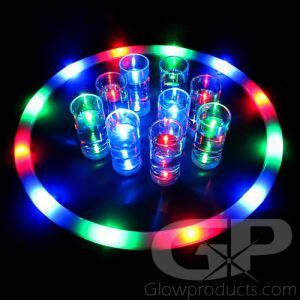 Visit our full catalog of Flameless LED candles and use the battery powered candles, LED tea lights and battery operated light up center piece decorations rather than candles. 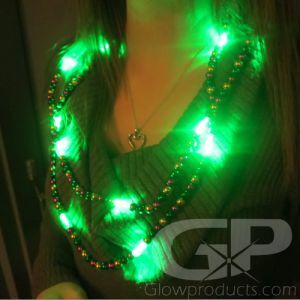 And plus, with replaceable batteries, you can use all of your battery operated light up decorations again and again! The last thing you want to do this New Year's is decorate with a bunch of regular candles, stay up way too late and go to bed leaving those candles unattended! 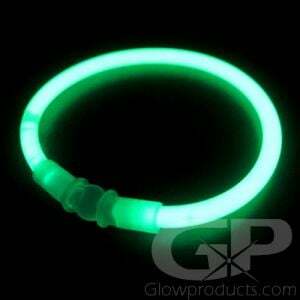 Be smart and use battery operated LED candles and don't worry about it. Available in 4”, 6” and 8” flameless pillar candles, we also have Remote Controlled LED Candle Sets where you get all three sizes, choose your colors and they have a timer setting too! Flameless candles are simply the perfect way to light up table top centerpieces and New Year's Eve party displays. 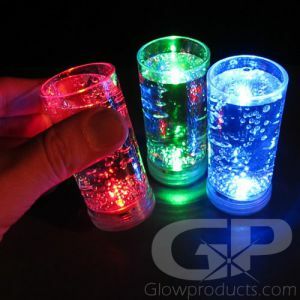 So stay safe this New Year's and focus on partying – and not worrying about your candles by using battery operated LED candles from Glowproducts.com this year!